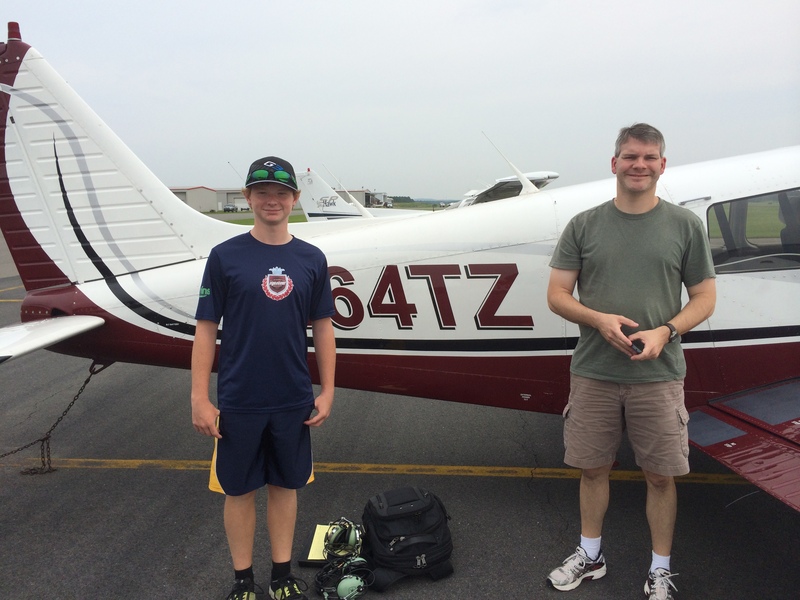 A few days ago, I was able to take a staff-member from one of my client churches and his son for a flight in Warrior N64TZ. Barry had flown in a general aviation plane before, but Noah, his 13 year old son, had only been in an airplane once before, and it was a 737 airliner. We had to delay for about an hour due to low clouds and the weather never really cleared, but we were able to complete a few touch-and-go landings and perform some maneuvers in the practice area. I showed them some sights and they had a complete blast! This is how to spread the fun of aviation. Take someone up and just let them enjoy the ride!